Remarkable, revolutionary, innovative, and instantaneous, the Advanced BOTO Age Defying Kit is the most effective alternative to invasive facial procedures. With innovative formulas, regenerative properties, and uplifting qualities, Advanced BOTO lifts skin, fills wrinkles, plumps creases, and erases discoloration. Everyone will wonder if you had any work done, and you’ll be able to say that it’s better than Botox! Each item is formulated with plant stem cells, Dead Sea minerals, lifting watercress, miraculous botanicals, and the innovative liposome complex. Skin needs a little bit of life just as much as it needs a lift. This unique line is based on a secretly protected purification process that extracts the elements necessary to renew and rebuild skin cells. Natural, organic ingredients, plant stem cells, phospholipids, and nourishing minerals from the Dead Sea all help to deliver a natural, newer glow to your complexion. Restore youthful vitality and radiance to the skin. The Luminesce anti-aging skin care line restores youthful vitality and radiance to your skin, reduces the appearance of fine lines and wrinkles and reveals your unique glow. Dermatologist developed, these hydrating formulas include the exclusive, proprietary APT-200, maintaining younger, smoother, and softer looking skin. The It Works Skin Care line is beautifying, botanically based care for your skin! Specially formulated for anti-aging, this skin care line safely nourishes your body and enhances your life! This naturally based signature collection is made for all skin types! Your super natural beauty starts here! Have You Tried That CRAZY WRAP THING? Start your results in just 45 minutes with That Crazy Wrap Thing! The powerful, botanically based cream formula of the Ultimate Body Applicator gives you tightening toning, and firming results wherever you need them most! 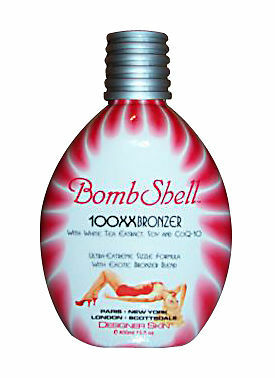 Get an impressively dark tan with Designer Skin BombShell Bronzer 100XX. This product is ideal for people who want a very dark tan very quickly. One thing that sets this bronzer apart from similar products is its Ultra-Extreme Sizzle Formula. It actually heats up the skin before the user even steps into a tanning booth. This heat helps oxygenate the skin and makes it take on color faster. 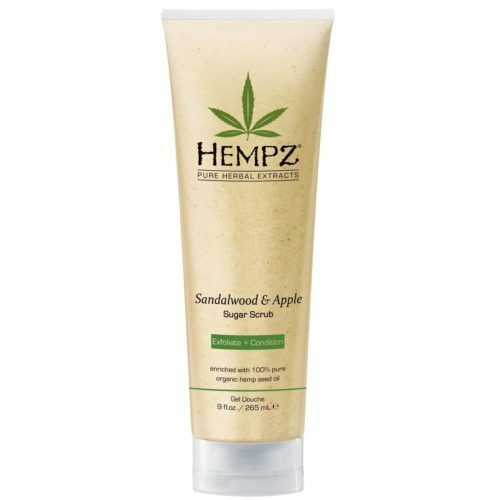 As well as aiding the tanning process, this product also moisturizes the skin. This formula contains vitamins A and E, which help rejuvenate skin cells and reduce the appearance of fine lines and wrinkles related to tanning. The white tea extract sooths the skin and helps minimize sun damage. Here it is! Grab your chance for the darkest, most natural looking hue while a special vitamin-rich ink-drink complex protects tattoos from fading. One application is all it takes to look red carpet ready. Fragrance: midnight pear. Includes tyrosine to stimulate melanin production . Infused with beeswax and raspberry. Contains skin softening vitamin e and shea butter. Yogurt base smoothes skin. Australian Gold Fierce D Fense Intensifier Tanning Lotion is a bronzing treatment that stimulates the skin’s natural tanning ability and delivers a deep, dark color without much effort. Suitable for all skin types, this tanning lotion is intended for Indoor use in order to provide long lasting results and a natural, attractive appearance. A gorgeous tan can be yours with 20th dimension bare-it-all bronzer. This formula combines natural bronzers that deliver instant, dark, flawless color with melanin activators. The bodyblush blend adds a rosy, flushed tone for energized looking skin. 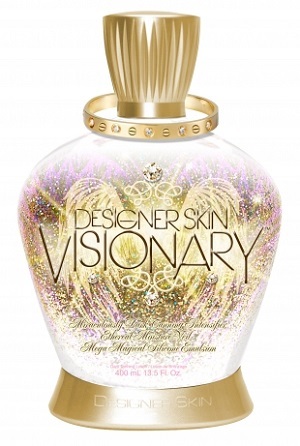 Finally, bio-active bronzing minerals strengthen and soften skin for a visually alluring appearance. Fragrance: berry buff . Bodyblush blend. Infused with 92 essential minerals, including copper. Forever flawless finish. Defy the tanning odds with this Advanced DermaDark Bronzer that provides streak-free gorgeous results with or without UV exposure. Luxurious HydraPlex Technology Drenches skin with intense hydration for a Dramatic, long lasting bronzed hue. Exclusive Vitamin Drink Delivers strong skincare that helps guard against fine lines and wrinkles for a youthful glow while Delightful Conditioners nourish and Defend for Dazzling, radiant color. Discover your Darkest potential that will have your color in Sol D Mand.